Movie magazine focusing on the film creators (directors and writers). When looking a current film magazines, many are more about celebrity pop culture than the art of filmmaking. So I wanted to craft a magazine that highlights the beauty of filmmaking with behind the scenes photography and film stills. 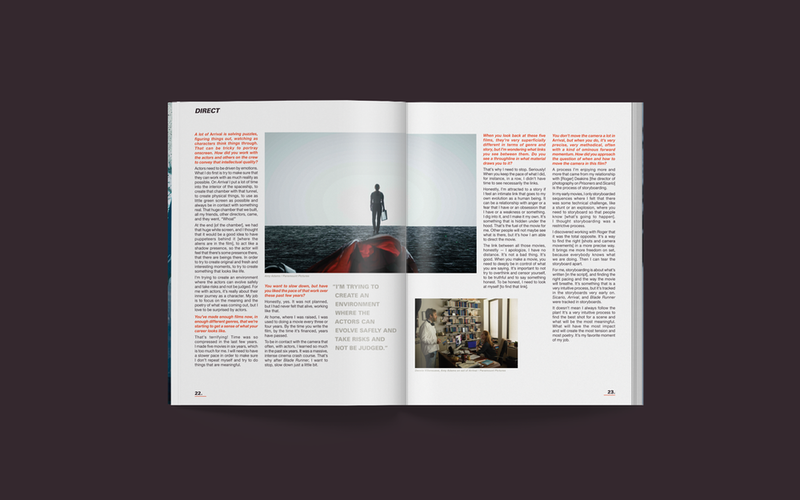 The magazine is targeted towards aspiring filmmakers and film enthusiasts. The articles feature some of my favorite films and filmmakers from 2015 to 2017. See the full magazine.